Prime Minister Narendra Modi will visit Gujarat on Thursday to inaugurate slews of projects and participate in several programmes. At a large public meeting in Jujwa village of Valsad district, the Prime Minister is scheduled to witness collective e-Gruhpravesh of beneficiaries of the Pradhan Mantri Awaas Yojana (Gramin) - a flagship scheme of the Union Government which envisions "Housing for All". As per an official release, more than one lakh houses have been completed in the state under this scheme and beneficiaries of these houses will celebrate collective Gruh-Pravesh across 26 districts. At Valsad, beneficiaries from five districts of South Gujarat - namely Valsad, Navsari, Tapi, Surat and Dangs will gather, while at the remaining districts, collective Gruh-Pravesh will be celebrated at the block level. At the same event, the Prime Minister will distribute certificates and employment letters to select beneficiaries under various development schemes, including Deen Dayal Upadhyay Grameen Kaushal Vikas Yojana, Mukhya Mantri Gramodaya Yojana and National Rural Livelihood Mission. He will also distribute appointment letters and mini-ATMs to women bank correspondents. 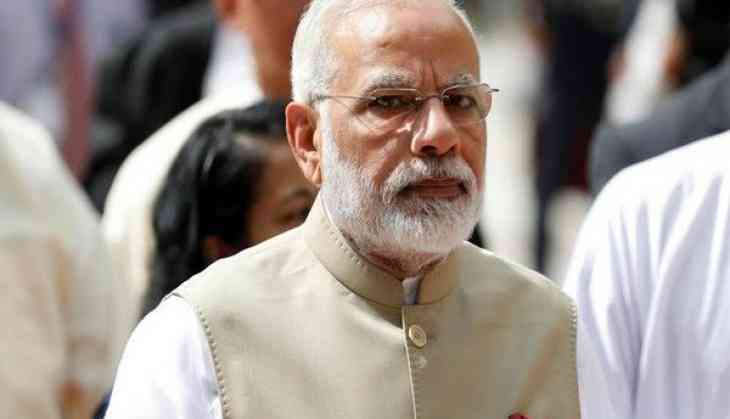 Following this, Prime Minister Modi will visit Junagadh to inaugurate several development projects, including a government civil hospital, 13 projects of Junagadh Municipal Corporation and a milk processing plant at Khokharda. Later, the Prime Minister will deliver the convocation address of the Gujarat Forensic Sciences University at Gandhinagar before attending a meeting of the Somnath Trust in Gandhinagar.